Ali is an engineer and healthcare entrepreneur, and the founder and CEO of babylon. babylon is the UK’s leading digital healthcare service. Its purpose is to democratise healthcare by putting an accessible and affordable health service into the hands of every person on earth. In order to achieve this the company is bringing together one of the largest teams of scientists, clinicians, mathematicians and engineers to focus on combining the ever-growing computing power of machines with the best medical expertise of humans to create a comprehensive, immediate and personalised health service and make it universally available. Founded in January 2013 and launched to the public in April 2014, babylon now has over 640,000 registered users globally. babylon’s home grown success has seen the company expand into Europe and Africa in 2016, with a second head office located in Rwanda. Around 120 businesses, including Citigroup, BNY Mellon, LinkedIn and leading employee benefits and health insurance providers have partnered with babylon to offer its services to UK employees. Further, the company has partnered with the NHS to make its services available to the broader UK population. 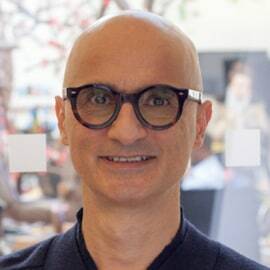 Prior to Babylon, Ali founded Circle and built it within a few years to become Europe's largest partnership of clinicians, with some £200m of revenue, near 3,000 employees and a successful IPO. Earlier, Ali was the recipient of the Royal Award for the Young Entrepreneur of the year for founding his first business, V&G, and the Healthcare Entrepreneurial Achievement Award for establishing Circle. Ali was named by The Times among the 100 global people to watch, and by HSJ among the 50 most influential people in healthcare. Ali is the UK Cabinet Office Ambassador for Mutuals and has a PhD in Engineering Physics.